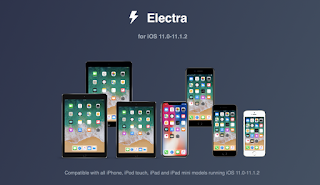 After several weeks of waiting, the jailbreak of iOS 11 And 11.1.2 is already a reality , so as always, then we leave you a complete tutorial so you can carry out the whole process in the easiest and fastest way possible. Of course, how it happened in the day with the jailbreak of iOS 10.3.2 and iOS 11, you have to take into account several factors, so from here I ask you if you do not meet the requirements do not continue with the process, as it will give error and so The only thing you will get is to have to restore your device. Atmost ($1.50): an alternative to the once popular PriorityHub tweak, Atmost groups the notifications on Lock screen and Notification Center based on the app that they belong to. Backspace+ (Free): when you hold the backspace key on your iPhone, after a couple of characters, it starts to clear words. Backspace+ prevents this by forcing single character backspacing at all times. BlinkBadge (Free): adds blinking animation to app icon badges on the Home screen. Bio Locker ($1.99): enhances the security of your jailbroken iPhone by allowing you to lock apps, folders, and App Switcher with Touch ID. CallPlus ($1.50): brings a couple of new features and aesthetic changes to the iOS Phone app. DockXI (Free): brings rounded corners to the Home screen dock in iOS 10. This makes the dock look similar to the one in iOS 11. Hera ($1.00): adds shortcuts to the Status bar icons. For instance, you can tap on the Airplane icon to enable or disable Airplane Mode, or tap on the battery icon to toggle Low Power Mode. You can even rearrange the Status bar icons in real-time. InstagramUICustomizer (Free): lets you customize the interface of the Instagram app. LSScreenshotLimit (Free): limits the number of screenshots that can be taken on the Lock screen. Musessions ($3.00): keeps track of all the songs you’ve listened to on your iPhone and displays them all in one place. It’s similar to web browsing history, but for music. SlideToUnlockX ($0.99): brings the old ‘Slide to Unlock’ slider to iOS 10. ConditionalWiFi2 ($0.99): lets you block specific apps from using WiFi on your iPhone. Boxy 3 ($1.99): lets you customize your Home screen layout to position the apps the way you want. Fake Call History (Free): as the name implies, this allows you to fake your calls log in the Phone app. IconKeyb10 (Free): with this tweak installed, whenever you input a number, it will replace it with its Emoji equivalent. Musubi (Free): brings Android-styled passcode screen to jailbroken iOS 9 devices. NoHistorySafari (Free): lets you browse privately in Safari by completely removing the History list. PlsIgnoreAlert (Free): adds a “Dismiss” button to alerts so that you can close them easily. It’s useful when some apps display an alert dialog that cannot be dismissed. 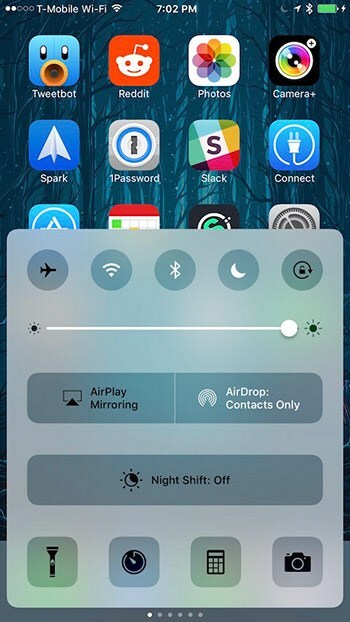 SwitcherCC (Free): combines the iOS 10 Control Center and App Switcher into one single unified interface. WakeTunes (Free): turns on your iPhone’s screen every time the song changes. FlashBar (Free): displays an icon in the Status bar whenever your iPhone’s torch is turned on. Fuzzy (Free): blurs the background wallpaper of the Lock screen when they are pending notifications shown. HeckNewTabs (Free): disables the new tab button in Safari. NoMessageButtons (Free): removes certain buttons from iMessage such as Digital Touch button, voice message button, iMessage App Store button, and so on. NoMoji ($0.99): lets you block certain emojis so that they don’t appear wherever they are used. For instance, if you’re within the Messages app and someone sends you an emoji that you blocked, it will appear as empty boxes instead, as shown in the screenshot above. PauseOnMute (Free): a handy tweak that automatically pauses the currently playing song whenever you mute the volume of your iPhone. Once you unmute, the music playback will begin automatically. PremiumPlay ($1.99): lets you use AirPlay in apps that block it such as Crunchyroll, DirecTV, Verizon FiOS, and more. WeatherStatusBar10 ($1.00): displays weather information in the Status bar. AppSwitchCurrent (Free): with this tweak installed, when you open the App Switcher, it will display the currently open app rather than the recently used app. ControlCenterXI ($1.5): this is one of the best tweak releases from this week. It brings the iOS 11 Control Center to your jailbroken iOS 10 device. It looks and functions exactly like the iOS 11 Control Center. DummyPass (Free): randomizes the place of the passcode buttons on the Lock screen for better security. GIFRoll (Free): allows you to view GIFs as an animation in the Photos app in iOS 10 rather than as a still image. HomeSwitcher (Free): makes the App Switcher open to the Home screen card rather than the recently used app. NCLink10 ($1.99): groups notifications based on the app that they belong to rather than displaying them in chronological order. NotificationTester (Free): allows you to send test notifications to yourself. This is useful when you want to see how the notification banner looks after installing a new tweak or theme. ActIf 2 (Free): brings support for conditional statements in Activator tweak. CamMode (Free): shows the camera mode as you change from one mode to another. ClassicPlayer ($0.99): brings the spinwheel design from the old iPod to the Music app in iOS. Creamy (Free): ports the iOS 11 Lock screen passcode design to iOS 10. Callisto Pro ($2.49): allows you to unlock your iPhone by entering the current time instead of the passcode. HomeCardIconLabel (Free): adds the label and icon of apps in the App Switcher. Kairos 2 ($2.99): schedule iMessage and text messages to be sent at a later time. Sinatra ($1.99): brings a new design to the music page in iOS 10 Control Center. Charge ($0.99): brings a new look to your iPhone’s charging screen. DetailedCellularUsage (Free): view the detailed cellular usage on your iPhone. GuestMode 2 ($0.99): allows guests to access your device in guest mode with limited access to features and apps. LSHiddenTools10 (Free): a Lock screen customization tool for iOS. SaveBot (Free): allows you to save videos from the Tweetbot app. SwitchTint (Free): lets you customize the color of toggles in iOS. Toka (Free): replaces the Home screen Today widgets with notifications. TouchBar ($2.00): brings Macbook Pro’s Touch Bar to iOS. BatteryBanners (Free): shows a banner with the battery percentage remaining. Classic (Free): brings the old look of notifications to iOS 10. LaunchInSafeMode (Free): disables all tweaks when launching specific apps. NPTweet (Free): quickly tweet the currently playing song via a Control Center toggle. SkinnySettings (Free): brings a more subtle look to Settings in iOS 10. SmartCameraShutter (Free): customizes the Camera app in iOS 10. Thumbtack (Free): lets you pin important notes to the top of the Notes app. Vibrancy (Free): makes the Lock screen clock a little transparent. AMP (Free): sets the Now Playing page as the default page in Control Center when there’s a music playing. Cheader (Free): colorizes the iOS banner notifications. ClassicFolders 2 ($1.99): brings the iOS 6 folder style to iOS 10. Hypeman (Free): announces new tracks as they change via Siri. Lace (Free): provides a number of customization options for Notification Center. MaskedHotspotPass (Free): masks the WiFi password in Personal Hotspot. Masq ($1.75): lets you customize the artwork on Lock screen and Control Center. NCWallCustomizer (Free): allows you to add a custom background to Notification Center. NPTweet (Free): adds a Flipswitch toggle to Control Center for tweeting your currently playing song. Pigeon (Free): updates the app icon badges when you clear notifications via Notification Center. PresentPage (Free): lets you choose the default page in Control Center. Tinc (Free): lets you customize the background color of Notification Center and Control Center. ViewDockOnTodayView (Free): displays the dock even when in Today view. YTResume (Free): resumes YouTube videos from where you left them. Bouncy10 (Free): adds bounce animation to various parts of iOS such as during opening and closing of apps. CCStatus (Free): customize the text that appears when you tap on a Control Center toggle. CVVertically (Free): positions the Control Center toggles and buttons vertically. FolderAutoClose 10 (Free): automatically closes an open folder after launching an app within it. MoreRecentSongsPlz (Free): shows unlimited number of recently added songs in the stock Music app. MusicMoreColumns (Free): applies a 3-column layout to the Music app. NGXPlay (Free): lets you run any iOS app on your CarPlay. NoBlurFrontCamera (Free): disables blur in FaceTime’s front camera. No Date Today (Free): hides the oversized date text in Notification Center and Today view. QuickFlash (Free): adds a button to Lock screen for quickly toggling the flashlight. Reddit Enhanced (Free): a suite of enhancement tools for the iOS Reddit app. SpoofSnap (Free): lets you fake the number of Snapchat views, screenshots, and more. SpringToolz (Free): changes the shape of app icons. TapToOpen (Free): tap on Lock screen notification to open them rather than having to swipe. WAStatusVolume (Free): brings WhatsApp’s volume HUD design across iOS. Accelerated Home Button (Free): removes the delay when you press the Home button to go to Home screen. CCQuick Pro X for iOS 10 ($2.99): brings new shortcuts to iOS 10 Control Center. Coco (Free): lets you enable Do Not Disturb on a per-app basis. ColorGram (Free): lets you customize the UI color of Instagram. FancyNC (Free): brings a sleeker look to Notification Center. FolderAutoClose 10 (Free): automatically closes an open folder when launching apps. HUDPlayer (Free): replaces the stock volume HUD with a less obtrusive one that appears as a banner at the top of the screen. No Date Today (Free): removes the date from Today view in Notification Center. NoLowStorage (Free): gets rid of the “Low Storage” alerts that appear on your iPhone. NoMoreFBStories (Free): disables swipe cam in Facebook Stories. NoTime10 (Free): removes Spotlight and the Today view widget. RedditOpensLinksInNarwhal (Free): forces Safari to open Reddit links in the Narwhal app. SafaReaderFullScroll (Free): forces Safari to open web page in reader mode. Sparkasse4JB (Free): bypasses jailbreak detection for Sparkasse app. Spotlife (Free): replaces the Today view in Home screen and Lock screen with Spotlight. DismissAnywhere (Free): dismiss a popup by tapping anywhere outside it. Dndmymusic (Free): allows you to continue listening to music while recording a video on your iPhone. Downloadally (Free): allows you to download videos from Music.ly to your iPhone. ExactTime (Free): shows the exact time of a notification. LastTimeUnlocked (Free): shows the last time your iPhone was unlocked. Smooth3D (Free): enhances the performance of 3D Touch menus. Unsize (Free): displays the storage space an app is occupying when deleting it. WAUnknownGroupFix (Free): allows you to delete unknown group chats in WhatsApp. WeatherBanners ($0.99): displays the current temperature in a banner. AirDrop Disabler (Free): removes the AirDrop button from Control Center. betterNC10 (Free): brings subtle UI changes to Notification Center. CCDataMore (Free): adds a cellular data toggle to Control Center. Haskfm (Free): enhances the Askfm app for iOS. NoGoogleAMP (Free): prevents Google from displaying web pages as AMP. PanaromaPapers (Free): allows you to set a different wallpaper for each page of the Home screen. SCOthman For Snapchat (Free): adds a number of new features to the Snapchat app. WA Status Save ($1.99): lets you save WhatsApp Status media files to Camera Roll. WiFiChannelBar (Free): displays the channel of the connected WiFi in Status bar. AdBlock for YouTube (Free): blocks YouTube ads, including video ads. AirDrop Disabler (Free): removes AirDrop option from Sharing Sheet. Birdhouse (Free): replaces the ‘No notifications’ text in Notification Center with a random tweet. DiscreetVoiceMemos (Free): hides the red recording Status bar and waveform on Lock screen. Dont Stop the Party! ($2.00): forces songs to continue playing during respring. GoAway (Free): allows you to change the ‘iPhone is disabled’ text on Lock screen. I See Stars III (Free): displays star ratings in the Songs list and Playlist. NoMoreStories (Free): removes Stories from the Facebook app. Siliqua (Free): adds new touch gestures to your Apple AirPods. WAAutoReply ($5.00): brings auto-reply feature to WhatsApp. WechatFakeSteps (Free): lets you fake your WeChat footsteps count. In Cydiaplus.com and we gather a large list of compatible tweaks iOS9.3.3 - iOS10.2 on which you'll find up to 200 utilities for Jailbreak your iPhone and your iPad. But today we highlight the 20 Plus most interesting tweaks that list. Best Cydia Jailbreak Tweaks / Apps for iOS10.2, 10.1.1, iOS 9.3.3, 9.3.2, 9.3.1, 9.3, 9.2.1, 9.2, 9.1 on iPhone, iPad & iPod. Welcome back to the 29th jailbreak update video! In this one, I give my predictions on the Pangu 10.3/10.3.1/10.3.2 jailbreak and why I think it will support 10.3.2, iOS Malware, the 9.3.5 jailbreak & more! AntiTracker (Free) : sends you a notification every time someone tracks you via Find My Friends. Speak This Flipswitch (Free): provides a Flipswitch toggle for the Speak Selection option in iOS. Quickify (Free): add songs to your Spotify playlist from Control Center or Lock screen. AdaptiveColorAlerts (Free): colorizes the alert popup based on the color of the items behind it. BlackKeyboardAnywhere (Free): applies a dark theme to the stock iOS keyboard. inspectorplus (Free): inspect any app’s UIWebView. OnceMore (Free): adds a button to Lock screen to restart the timer. Photicon (Free): changes the app icon of the Photo app to your recently captured photo. 3D Touch Flipswitch: toggle 3D Touch functionality via Control Center. CCRecord (Free): lets you record your iPhone screen from Control Center. Cream 2 (Free): colorizes the iOS 10 Control Center toggles. Creamless (Free): removes the default white background color of Control Center toggles in iOS 10. CustomCarrier (Free): allows you to change the carrier name to a custom one. Disclose (Free): lets you close the ‘Look Up’ interface with a swipe gesture. ForceInPicture (Free): brings Picture-in-Picture mode on unsupported iOS 9 and iOS 10 devices. NoWallpaperGray (Free): disables the wallpaper dimming in iOS 10. Reddit – No Blue On NSFW (Free): the name says it all. Scriblit ($1.5): lets you doodle on your iPhone’s screen. SnapchatNoClickbait (Free): hides Discover and Live Stories section in Snapchat. Shydock (Free): hides the Home screen dock. StatusFolder (Free): shows the Status bar even when you are inside a folder. StatusSwitcher (Free): shows Status bar in App Switcher. TwitterThemeToggler (Free): provides a faster method of toggling Night Mode in Twitter app. YouText (Free): lets you customize the text and background colors in Notes app. Verified Badge for Instagram (Free): adds the verified checkmark to your Instagram profile. VKPass (Free): protects the VK app with passcode and Touch ID. Noctis - http://store.laughingquoll.net - NOT a repo, visit this link to get. TOP 50 iOS 10 - 10.2 Jailbreak Tweaks - These are 50 tweaks compatible with iOS 10 - 10.2 jailbreak. 1. Disclose: If you are someone who regularly uses the "Look Up" to see the dictionary on your iOS device, there is a Tweak Disclose extremely useful for you. This app allows you to search quickly and easily. 2. 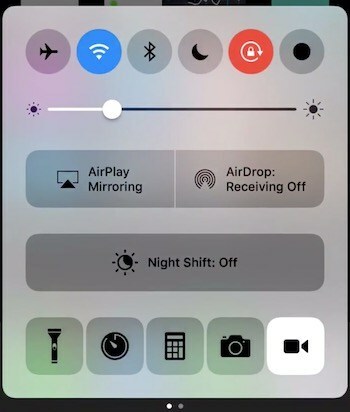 Creamless: If you do not like the appearance of the new colors in the Control Center iOS 10, rest assured because Creamless tweak can take you back to the color of the control center as previously iOS 9. 4. Action Menu: Tweak Action Menu will help you add more functionality to choose from after highlighting a piece of text. 5. Barrel: Change the page turning effect on the device's screen. This is a Tweak almost everyone used after the jailbreak the device. 6. BatteryLife: You can check the battery charge, the battery level at the bottle on the device simple and effective. 7. ForceInPicture: This is a pretty cool tweak, ForceInPicture allows you to watch the video in the form of pop-ups to use in tandem with many other things on the device. However, if used on an iPad or iPhone Plus large screen will be more appropriate. Similar to tweak or Video Pane Pegasus ago on iOS 9. 8. DisableVoiceControl: Helps you off completely annoying Voice Control functions on your iPhone or iPad with ease. 9. CCRecord: This is a support tool turns your phone screen is quite convenient. CCRecord will add to the screen rotation button in the Control Center's 10 already jailbroken iOS devices, so you can quickly return to the iOS screen easily. 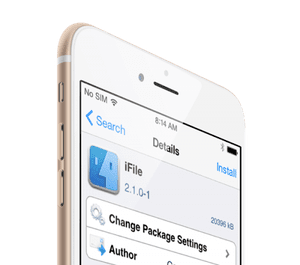 11. iFile: iFile is one of the community cydia tweak very appreciated. The app helps you manage and view files, change file system best. Even you can change the look, change system notifications, unlock bar, and lots of other interesting custom. 13. StatusFolder: StatusFolder is a small tweak when you group applications together. Although not too special but can also use temporarily before the other great Tweak official release. CCLowPower (Free): adds Low Power Mode toggle to Control Center. This tweak is available totally free at the source or repo of BigBoss. The tweak is responsible for adding more color to the background out of focus in the actions 3D Touch. Automatically changes the color to match the predominant color of the application in question, but does not change the color of the menu, but of the background. 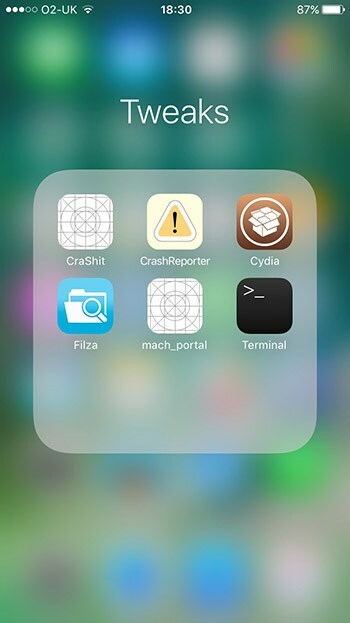 Evanesco is another free tweak from Cydia's BigBoss source. This tweak for iOS 10 causes disappear application icons, status bar, dock and other items when you are not using the iPhone. An ideal way to give more importance to the iOS 10.1.1 wallpaper. StatusSwitcher has been one of Cydia's first tweaks to receive support for the iOS 10.1.1 jailbreak yalu. This tweak adds the status bar to iOS App Switcher 10 (interface to switch from one app to another). Available free on BigBoss. Apps Manager followed with a tweak to protect data BigBoss IOS 10.1 and 10.1.1 iOS adding the ability to restore, backup, import and export data. In the source or repository of Ivano Bilenchi you can find the beta version of iCleaner Pro, one of the most interesting Cydia tweaks for iOS 10.1.1. This tweak will allow you to clear the cache and delete unnecessary temporary files to gain some extra storage space. Do you use the popular Bkstg app from the App Store? If yes, then you would know that you cannot download and save photos or videos from the app to your camera roll. While the app officially restricts users from saving media, the Bkstg Plus tweaks enables this feature. With this tweak you can simply tap and hold on any image to save it in the Photos app. To save videos you have to tap three times after which the menu appears with the Save Video option. You can download the Bkstg Plus tweak from Cydia for free. It supports iOS 10 and iOS 9. The CasualAlarm tweak plays a random song from your Music library as your alarm tone. From settings you can turn the tweak on or off. CasualAlarm is a free tweak that works with iOS 9 powered devices. One of the many new features iOS 10 brought to the Messages app is the handwriting feature. The app allows users to draw a figure or write a message by drawing on the screen. The handwriting screen can be accessed by turning the device sideways. If you are not a fan of this feature, then install the NoHandwrittenMessage tweak, which disables handwriting mode. The tweak works with iOS 10 without any problems and is available in Cydia for download. The Touchr tweak allows users to perform different actions with the Touch ID home button using gestures. With this tweak installed you can perform actions by single press, double press, triple press, hold, press and hold, and pressing on the button and then sliding on the screen. You can assign all these gestures to action of your choice including home button press, device lock, Siri, accessing App Switcher, screenshot, back, last app and more. Touchr tweak is available with a 3 day trial, after which it costs $1.99. While the tweak requires iOS 9 or higher to work, there’s no specific mention of iOS 10 on its description page. Do you often use the iOS Low Power Mode even when your device is not running low on battery? Then CCLowPower tweak for iOS 10 is for you. This tweak adds a simple on/off toggle that allows you to turn on the mode whenever you like, no matter which app you are using. The CC button makes things much easier for the users as normally they have to access the setting by going through Settings > Battery > Low Power Mode. 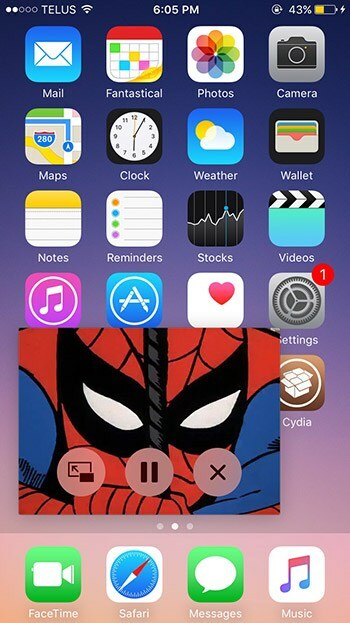 CCLowPower tweak is available in Cydia for free. The Disclose tweak, which is also compatible with iOS 10 allows users to close the ‘Look Up’ dictionary view by simply swiping. Normally you have to tap a button to exit the screen, so this tweak makes things quicker for the users. Disclose is available in Cydia for free. Homi+ tweak simply removes the iOS dock from the bottom. Once the dock is removed the tweak adds another row of icons at the bottom that you can use to store your app icons in. Unlike the dock that stays in its place the bottom row will let you store different icons on different pages, adding more space to the homescreen. While Homi+ tweak is not for everyone there are surely many out there who would rather have an extra row instead of a fixed dock. Homi+ tweak is still in beta so it may have issues. The developer has promised to add customization options like custom height, custom row and column amount in the upcoming updates. You can download Homi+ tweak beta from Cydia by adding https://antiquebeta.github.io/ to your Cydia sources. Want to hide the iOS dock and bring it out on demand? Try the Shydock tweak from Cydia. The hack simply hides the dock and brings it back up whenever a pre-defined Activator gesture is performed. The tweak works very much like how dock hides and comes out on macOS, the only difference being instead of you bringing the cursor at the bottom of the screen you have to perform an Activator gesture. From settings you can select different gestures for hiding and showing the dock. You can also configure the animation duration. For now Shydock only supports iOS 9, but we hope iOS 10 compatibility will be added soon. You can download Shydock from Cydia for free. Provides quick shortcut to cut, copy and paste buttons placed at the top of the iOS keyboard. Anemone is similar to Winterboard tweak that allows users to install themes and customize icons of apps on their devices with Jailbreak. Auxo 3 is a multitasking tweak to give a new look to the iOS App Switcher 9.3.3 and also adds new features. Cylinder gives the user the ability to modify the animations between pages of the Home Screen 9.3.3 iOS. Lylac is similar to tweak Auxo 3 serves to add interesting features and effects to multitasking applications. The Pegasus Cydia tweak allows you to enable the picture-in-picture function on any model iPhone with Jailbreak iOS 9.3.3. This function is used to view videos in overlay while using other applications with multitasking. Springtomize 3 is one of the best customization tweaks for iOS 9.3.3. It allows you to modify animations, icons, Dock, Notification Center, etc. VirtualHome is a tweak to iOS 9.3.3 which gives users the option of using the Touch ID function as Home button. His name says it all, brings notifications to iOS 9.3.3 Apple Watch, with a new design and with application icons protruding from the notification. NOTE: BioLockdown, BioProtect or Springtomize 3 aren't updated yet, so don't try to install them. ShazamYoutubeLink (Free): redirects you to YouTube app from Shazam after you tag songs. TransBack (Free): makes your Lock screen transparent so that the Home screen is viewable. NoSlowAnimations - Speeds up stock iOS Animation time. Vinculum ($0.99): an app drawer that allows you to quickly launch any app that you want. AdaptiveColorPower (Free): removes the green fill from Lock screen battery icon. BetterTextSelection (Free): makes the text selection in iOS more precise. Launchpad ($2.5): provides quick access to various information right from Reachability area. MadridDelete (Free): lets you delete messages from the Lock screen. Can be downloaded from the following repo: https://repo.ioscreatix.com/ . uoYabause (Free): emulator for Sega Saturn. Zephelia (Free): download videos from YouTube to your iOS device. Best iOS 10 - 10.2 Jailbreak Tweaks of the week - These are tweaks compatible with iOS 10 - 10.2 jailbreak. Finally I've made a new jailbreak tweak video! I'm still messings around with the jailbreak i have a top 10 theme video coming soon! Watch Out !